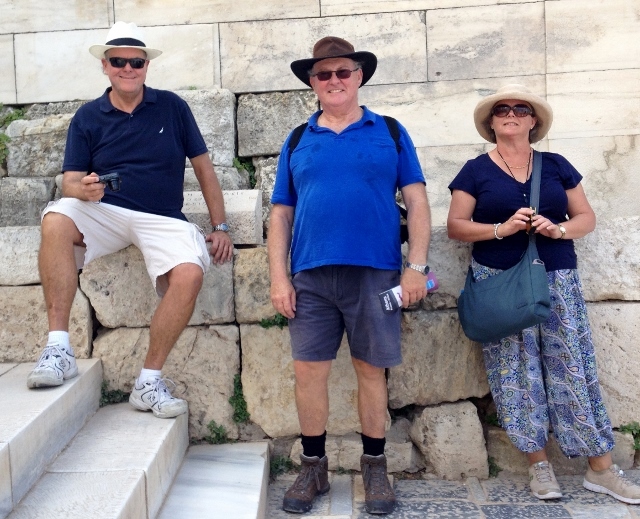 Yesterday, it was up early for breakfast, some with a decidedly raki disposition and then a quick walk to the ferry terminal to send Blue and Rene over to Rhodes for their journey home. 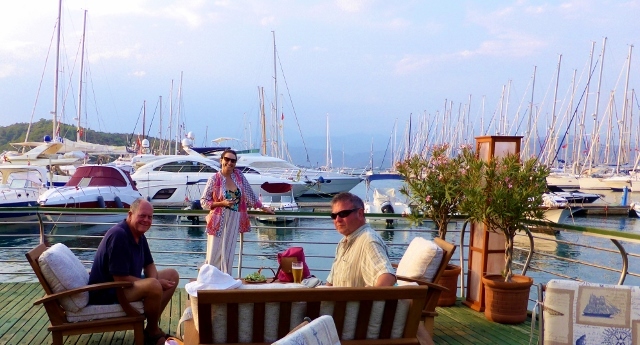 There is always a bit of separation anxiety when our friends leave, then the usual boat chores and shopping. Yesterday, however, we were able to go back to our air conditioned room for a few more hours and just ‘chill’. The hotel was outstanding, here is the view from our room. In the evening ducks would wander by and graze in the lawn area. Inside there are two parrots, which amused us and themselves. 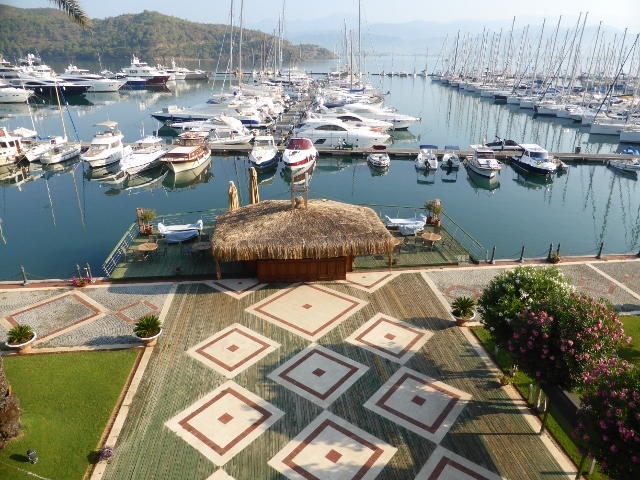 Fethiye was once know as Telmessos in antiquity, the largest Lycian port. In the fairly usual course of events in this part of the world, earthquakes leveled the town and today most of the town is fairly modern. The Town Quay harbour front area is full of gulets but there are also a few monuments. 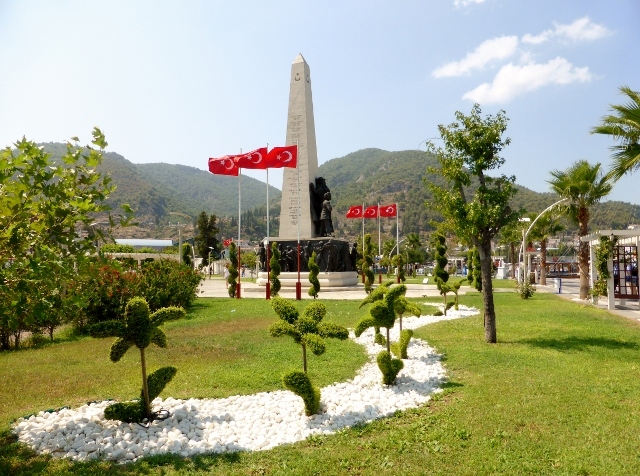 Here is a monument to young soldiers from Fethiye who have perished in recent wars. Images of Ataturk are along the bottom. Fountain gave us a sense of cool relief in the 40+ hot August day. You can survive in Turkey in August, as long as you are near water. Gule Gule means goodbye, from the person who is staying. Literally “Go Well”, we wish Blue and Rene a very good flight home, fingers crossed for that upgrade, Rene. See you before you know it. 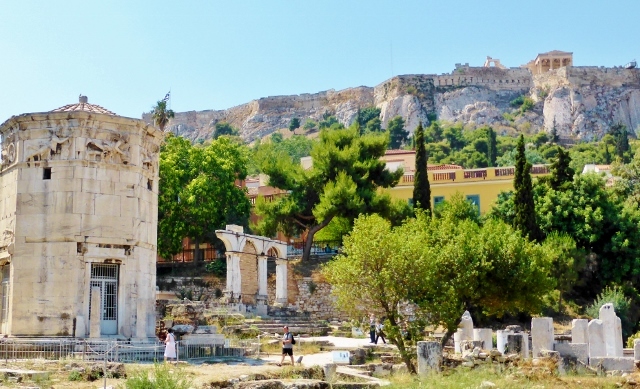 Athens is vibrant bordering on frenetic. 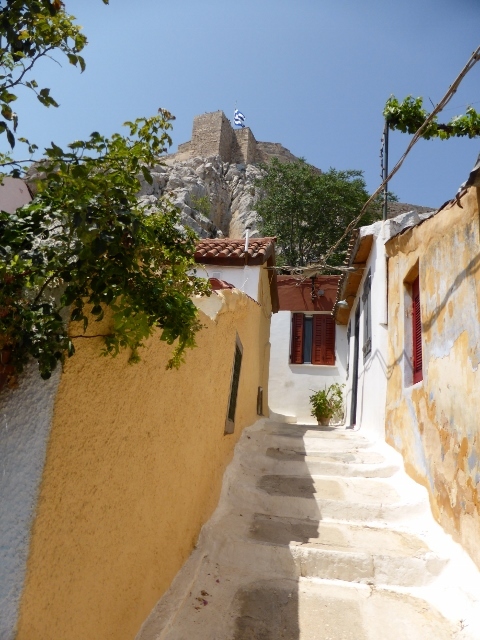 There are so many people wandering the streets, but if you stay away from Cruise ship tours, travel the intricate back streets, you will enjoy it. 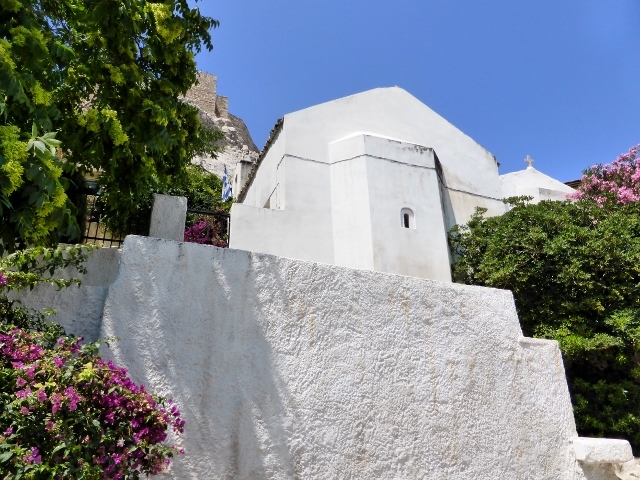 Anafiotika is near the north side of Acropolis hill and looks like it was pinched from the Cycladic island of Anafi and perched there on a steep site. 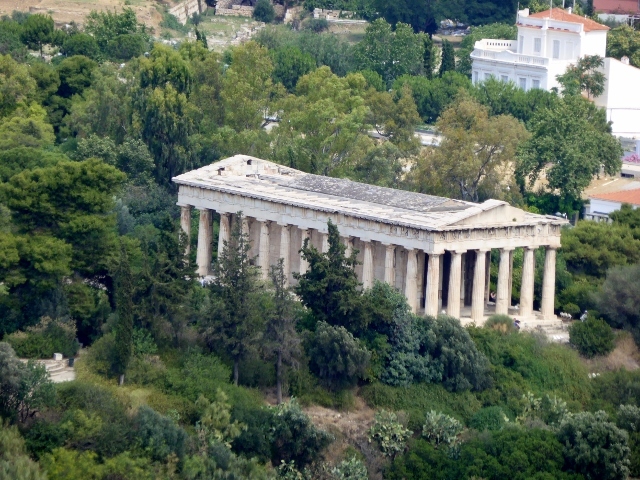 There were workers who came to Athens in the early 19th century, they became homesick, so built there minute houses to remind them of Anafi. 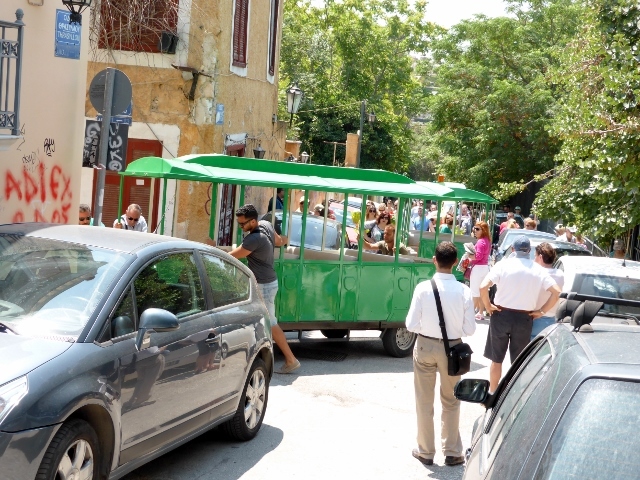 You often see small children and grandparents on the Happy Train, as we were walking out of Anafiotika, you can see that a badly parked car meant the happy train couldn’t turn the corner. We came upon them pulling the happy train apart car by car and taking each car around the corner. Does the happy train blow its whistle and helpers come running? We wandered past the Tower of the Winds, which was a water clock on the inside and a sun dial on the outside. It has carvings of the eight winds on each of its eight sides. 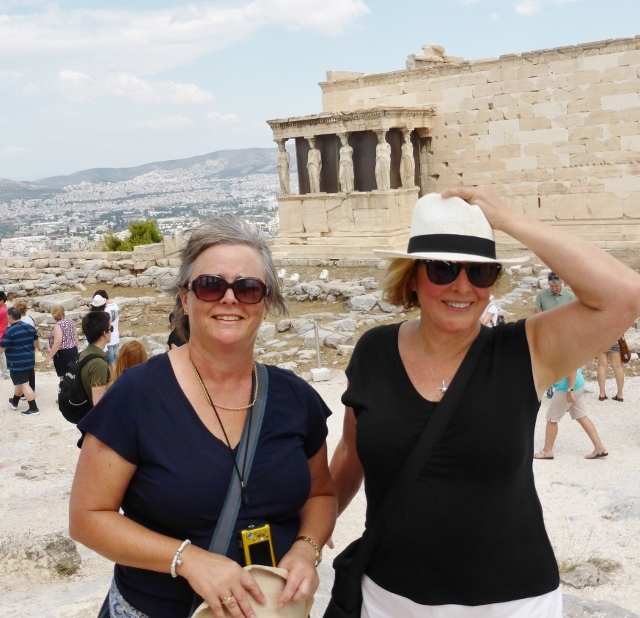 We visited the wonderful National Archaeological Museum with Leanne and Cam, but on Sunday we visited the Acropolis Archaeological museum. 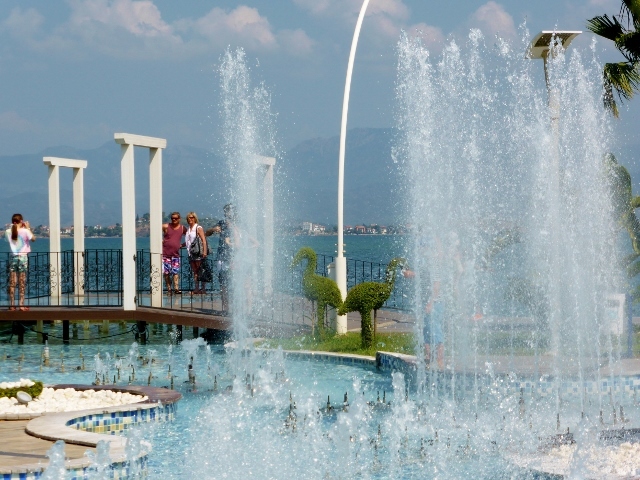 This captivating museum is just five years old and definitely a must see. The architecture is light and open with use made of the subterranean spaces. 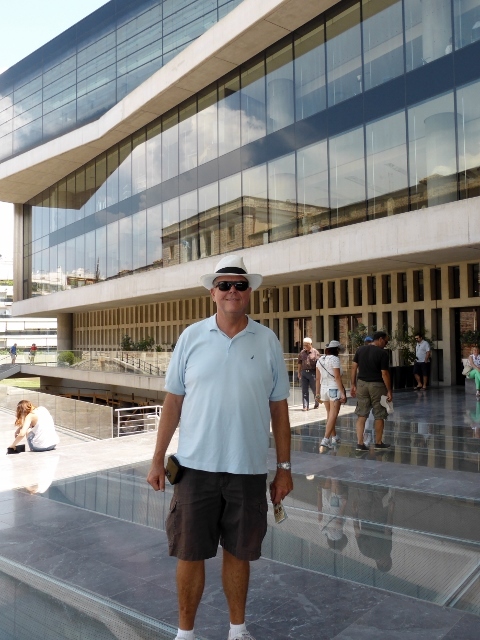 You walk over glass and view three stories of excavations or a minuscule fragment of tea cups or amphora. Wikipedia says: The design by Bernard Tschumi was selected as the winning project in the fourth competition. Tschumi’s design revolves around three concepts: light, movement, and a tectonic and programmatic element. 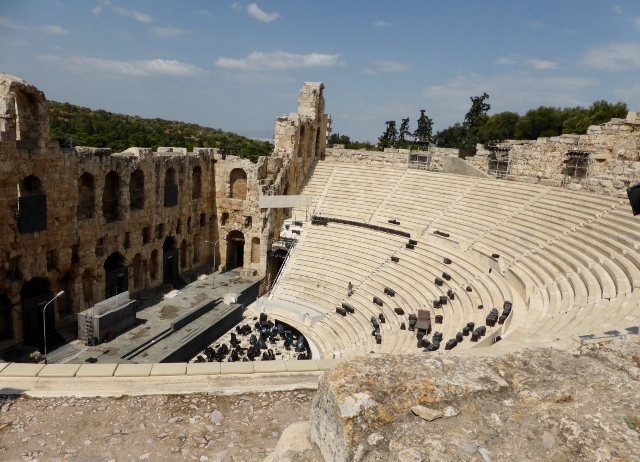 Together these characteristics “turn the constraints of the site into an architectural opportunity, offering a simple and precise museum” with the mathematical and conceptual clarity of ancient Greekbuildings. Happy Happy Birthday, darling Rene. Hope you are spoiled all happy day long. We have been crossing items off our bucket list. 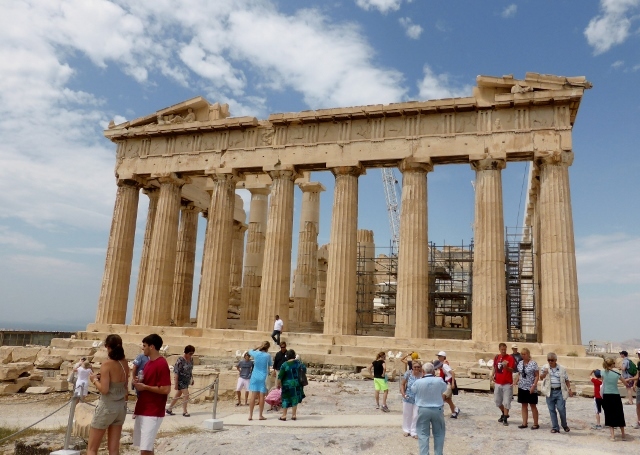 We were so happy to have company for Lepanto, Zante, the Corinth Canal, Meteora and Delphi. 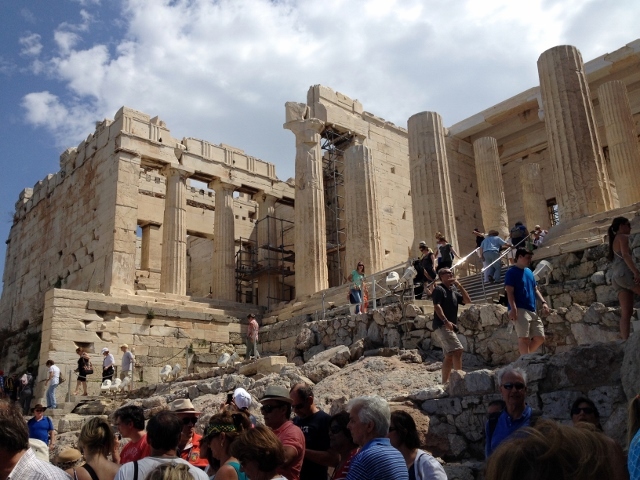 We made the Corinth Canal a day early, so we were able to have a splendid day at the Acropolis. We thought we would share the photos.